Are you looking for relief from chronic pain, stress, or stiffness? Or perhaps you are recovering from an athletic injury. Or are you looking for deep healing of body, mind, and spirit? 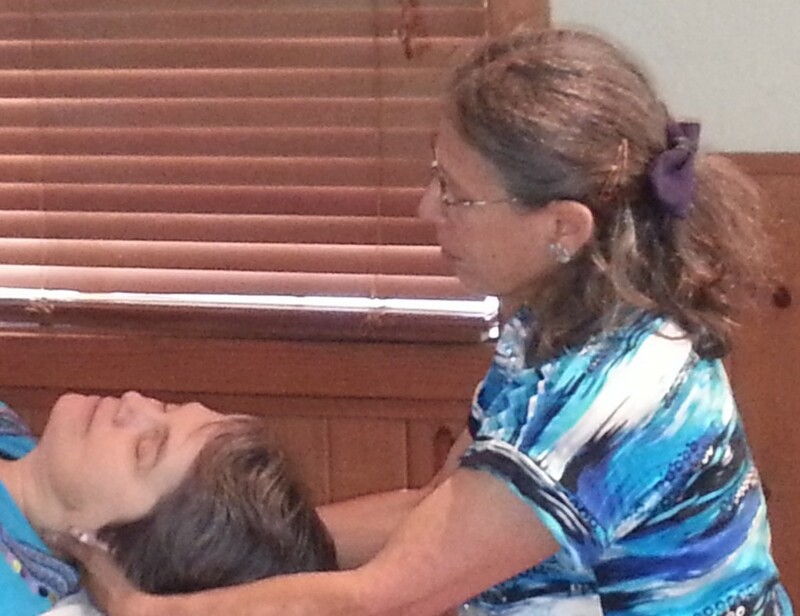 Rosi Goldsmith at Integration Massage offers gentle bodywork to support your body’s innate ability to heal. She then supports you to continue the healing on your own. Whether it is chronic pain or a chronic neurological condition, such as Parkinson’s, you will find pain and stress relief, physical and emotional well-being, and mindful awareness through bodywork. But the deepest healing comes when you feel empowered to overcome whatever is limiting you. You set the goals. I meet you where you are at. I listen to what you need. More than that, I respect what your body is telling me. I listen with ears, eyes, hands and heart. Self-care tips continue the improvement at home. I will show you exercises to prevent reinjury. You will learn to use your breath to calm your mind, release tension. You will increase your body awareness, have less pain, and more movement choices. Yes, I do research on the best ways to treat sprained ankles. And, yes, I look up recent research for your condition, whatever it is. However, your appointment time is all about you. I will address areas you specify–from head, neck, shoulders, down to feet. After I do an assessment, we will agree on what can best answer your needs. I care that you feel well and can accomplish your goals. What do you do for athletic injuries? Sprained Ankle, or Knee Pain Relief? What is Ortho-Bionomy®? How does Ortho-Bionomy find balance? Can you treat my Head Injury (mild TBI) from an auto accident? What are Mind-Body Approaches? How do they Heal Emotional Stress? How is Neurological Massage different from standard massage? What research or science supports any of this?